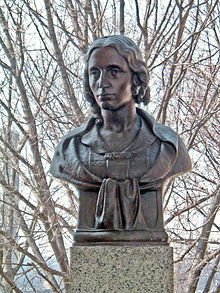 Harriet Elisabeth Beecher Stowe (/stoʊ/; June 14, 1811 – July 1, 1896) was an American abolitionist and author. She came from the Beecher family, a famous religious family, and is best known for her novel Uncle Tom's Cabin (1852), which depicts the harsh conditions for enslaved African Americans. The book reached millions as a novel and play, and became influential in the United States and Great Britain, energizing anti-slavery forces in the American North, while provoking widespread anger in the South. Stowe wrote 30 books, including novels, three travel memoirs, and collections of articles and letters. She was influential for both her writings and her public stances and debates on social issues of the day. Harriet Elisabeth Beecher was born in Litchfield, Connecticut, on June 14, 1811. She was the seventh of 13 children  born to outspoken Calvinist preacher Lyman Beecher. Her mother was his first wife, Roxana (Foote), a deeply religious woman who died when Stowe was only five years old. Roxana's maternal grandfather was General Andrew Ward of the Revolutionary War. Her notable siblings included a sister, Catharine Beecher, who became an educator and author, as well as brothers who became ministers: including Henry Ward Beecher, who became a famous preacher and abolitionist, Charles Beecher, and Edward Beecher. Harriet enrolled in the Hartford Female Seminary run by her older sister Catharine. There she received a traditional academic education, usually only reserved for males at the time, with a focus in the classics, including studies of languages and mathematics. Among her classmates was Sarah P. Willis, who later wrote under the pseudonym Fanny Fern. In 1850, Congress passed the Fugitive Slave Law, prohibiting assistance to fugitives and strengthening sanctions even in free states. At the time, Stowe had moved with her family to Brunswick, Maine, where her husband was now teaching at Bowdoin College. Their home near the campus is protected as a National Historic Landmark. Stowe claimed to have a vision of a dying slave during a communion service at Brunswick's First Parish Church, which inspired her to write his story. However, what more likely allowed her to empathize with slaves was the loss of her eighteen-month-old son, Samuel Charles Stowe. She even stated the following, "Having experienced losing someone so close to me, I can sympathize with all the poor, powerless slaves at the unjust auctions. You will always be in my heart Samuel Charles Stowe." On March 9, 1850, Stowe wrote to Gamaliel Bailey, editor of the weekly anti-slavery journal The National Era, that she planned to write a story about the problem of slavery: "I feel now that the time is come when even a woman or a child who can speak a word for freedom and humanity is bound to speak... I hope every woman who can write will not be silent." Shortly after in June, 1851, when she was 40, the first installment of her Uncle Tom's Cabin was published in serial form in the newspaper The National Era. She originally used the subtitle "The Man That Was A Thing", but it was soon changed to "Life Among the Lowly". Installments were published weekly from June 5, 1851, to April 1, 1852. For the newspaper serialization of her novel, Stowe was paid $400. Uncle Tom's Cabin was published in book form on March 20, 1852, by John P. Jewett with an initial print run of 5,000 copies. Each of its two volumes included three illustrations and a title-page designed by Hammatt Billings. In less than a year, the book sold an unprecedented 300,000 copies. By December, as sales began to wane, Jewett issued an inexpensive edition at 37½ cents each to stimulate sales. The book's emotional portrayal of the effects of slavery on individuals captured the nation's attention. Stowe showed that slavery touched all of society, beyond the people directly involved as masters, traders and slaves. Her novel added to the debate about abolition and slavery, and aroused opposition in the South. In the South, Stowe was depicted as out of touch, arrogant and guilty of slander. Within a year, 300 babies in Boston alone were named Eva (one of the book's characters), and a play based on the book opened in New York in November. Southerners quickly responded with numerous works of what are now called anti-Tom novels, seeking to portray southern society and slavery in more positive terms. Many of these were bestsellers, although none matched the popularity of Stowe's work, which set publishing records. Stowe is controversial for her support of Elizabeth Campbell, Duchess of Argyll, whose father-in-law decades before was a leader in the Highland Clearances, the transformation of the remote Highlands of Scotland from a militia-based society to an agricultural one that supported far fewer people. The newly homeless moved to Canada, where very bitter accounts appeared. It was Stowe's assignment to refute them using evidence the Duchess provided, in Letter XVII Volume 1 of her travel memoir Sunny Memories of Foreign Lands. Stowe was vulnerable when she seemed to defend the cruelties in Scotland as eagerly as she attacked the cruelties in the American South. Following the death of her husband, Calvin Stowe, in 1886, Harriet started rapidly to decline in health. By 1888, the Washington Post reported that as a result of dementia the 77-year-old Stowe started writing Uncle Tom's Cabin over again. She imagined that she was engaged in the original composition, and for several hours every day she industriously used pen and paper, inscribing passages of the book almost exactly word for word. This was done unconsciously from memory, the authoress imagining that she composed the matter as she went along. To her diseased mind the story was brand new, and she frequently exhausted herself with labor which she regarded as freshly created. Her mind had decayed, and she was a pathetic figure. She wandered about all the day long in the care of a muscular Irish woman. Among the colonists of our neighborhood the doors always stood open in pleasant weather. Mrs. Stowe entered them at her own free will, and as she was always softly slippered and generally full of animal spirits, she was able to deal in surprises, and she liked to do it. She would slip up behind a person who was deep in dreams and musings and fetch a war whoop that would jump that person out of his clothes. And she had other moods. Sometimes we would hear gentle music in the drawing-room and would find her there at the piano singing ancient and melancholy songs with infinitely touching effect. 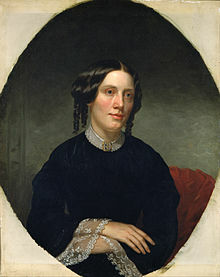 Harriet Beecher Stowe died on July 1, 1896, at age eighty-five in Hartford, Connecticut. She is buried in the historic cemetery at Phillips Academy in Andover, Massachusetts, along with her husband and their son Henry Ellis. The Harriet Beecher Stowe House in Cincinnati, Ohio, is the former home of her father Lyman Beecher on the former campus of the Lane Seminary Her father was a preacher who was greatly affected by the pro-slavery Cincinnati Riots of 1836. Harriet Beecher Stowe lived here until her marriage. It is open to the public and operated as a historical and cultural site, focusing on Harriet Beecher Stowe, the Lane Seminary and the Underground Railroad. The site also presents African-American history. In 1986, Stowe was inducted into the National Women's Hall of Fame. Harris–Stowe State University in St. Louis, MO is named for Stowe and William Torrey Harris. Dred, A Tale of the Great Dismal Swamp. Boston: Phillips, Sampson. 1856. Our Charley and What to do with Him. Boston: Phillips, Sampson. 1858. The Minister's Wooing. New York: Derby and Jackson. 1859. Earthly Care, A Heavenly Discipline. Boston: The American Tract Society. [ca. 1845]. "A New Year's Dream". The Christian Keepsake, and Missionary Annual, for MDCCCXLIX. n.l. : Brower, Hayes & Co. .
"Cousin William". The Boston Weekly Magazine. 1 (3): 19. September 22, 1838. "Old Father Morris". Lady's Book: 145. October 1838. "Flower Gathering". Southern Rose. 7 (4): 60. October 13, 1838. "Trials of a Housekeeper". Godey's Lady's Book. XVIII: 4. January 1839. "Stealing Peaches". Episcopal Recorder. 16 (43): 172. January 19, 1839. "Olympiana". Lady's Book: 241. June 1839. "The Drunkard Reclaimed (I)". New York Evangelist. 10 (48): 1. November 30, 1839. and "The Drunkard Reclaimed (II)". New York Evangelist. 10 (40): 1. December 7, 1839. "Art and Nature". Lady's Book: 241. December 1839. "The Dancing School (I)". New York Evangelist. 14 (14): 1. April 6, 1843. and "The Dancing School (II)". New York Evangelist. 14 (14): 1. April 13, 1843. "The Family Circle". Christian Reflector. 6 (19). May 10, 1843. "Feeling". New York Evangelist. 14 (16): 1. April 20, 1843. "'Now we see through a glass darkly'". New York Evangelist. 14 (23): 1. June 8, 1843. "The Bashful Cousin". Philanthropist. 7 (44): 4. July 12, 1843. "So Many Calls". Ladies Repository, and Gatherings of the West. 3: 278. September 1843. "The Nursery (I)". The Youth's Companion. 17 (25): 98. October 26, 1843. and "The Nursery (II)". The Youth's Companion. 17 (26): 102. November 2, 1843. "Which is the Liberal Man?". New York Evangelist. 15 (5): 1. February 1, 1844. "Moralist and Miscellanist". Christian Reflector. 7 (6): 24. February 8, 1844. "Mark Meriden". The Rover: A Weekly Magazine of Tales, Poetry, and Engravings. 3 (24): 376. August 7, 1844. "Tales and Sketches of Real Life". Littell's Living Age. 2 (18): 339. September 14, 1844. "Mary at the Cross". New York Evangelist. 15 (48): 192. November 28, 1844. "Love and Fear". New York Evangelist. 15 (49): 196. December 5, 1844. "Immediate Emancipation – A Sketch". The Cincinnati Weekly Herald and Philanthropist. 9 (21): 2. February 5, 1845. "Ladies' Department". Massachusetts Ploughman and New England Journal of Agriculture. 4 (24): 4. March 15, 1845. "Narrative". The Youth's Companion. 18 (48): 190. April 3, 1845. "Slavery". Zion's Herald and Wesleyan Journal. 16 (15): 60. April 9, 1845. "The Interior or Hidden Life". New York Evangelist. 16 (16): 1. April 17, 1845. .
"Uncle Abel and Little Edatrd". Zion's Herald and Wesleyan Journal. 16 (21): 1. May 21, 1845. .
"A Tradition of the Church of Laodicea". Episcopal Recorder. 23 (28): 109. September 27, 1845. "Children". New York Evangelist. 17 (3): 1. January 15, 1846. "What will the American People do? (I)". New York Evangelist. 17 (5): 1. January 29, 1846. and "What will the American People do? (II)". New York Evangelist. 17 (6): 1. February 5, 1846. "Parents and Children". New York Observer and Chronicle. 24 (32): 128. August 8, 1946. "The Way to Live on Christ". Christian Watchman. 28 (2): 1. January 8, 1847. "Feelings". Godey's Magazine and Lady's Book. 36: 102. February 1848. "The Coral Ring". Godey's Magazine and Lady's Book. 36: 340. June 1848. "Moral Tales (I)". The Youth's Companion. 22 (20): 77. September 14, 1848. and "Moral Tales (II)". The Youth's Companion. 22 (21): 81. September 21, 1848. "Atonement – A Historical Reverie". New York Evangelist. 19 (52): 1. December 28, 1948. "A Little Child Shall Lead Them". Christian Parlor Magazine: 248. May 1, 1850. "The Freeman's Dream: A Parable". National Era. IV (31): 121. August 1, 1850. "Earthly Care a Heavenly Discipline". New York Evangelist. 21 (1): 1. August 1, 1850. "Heinrich Stilling". New York Evangelist. 22 (6): 1. February 6, 1851. "The True Story of Lady Byron's Life". The Atlantic Monthly. 24: 295. September 1869. ^ Hedrick 1994, p. 6. ^ "Harriet Beecher Stowe House". www.bowdoin.edu. Retrieved 2018-09-24. ^ Ashby, Thompson Eldridge and Louise R. Helmreich (1969). A History of the First Parish Church in Brunswick, Maine. Brunswick, Maine: J.H. French. p. 229. ^ a b Hedrick 1994, p. 208. ^ a b Hedrick 1994, p. 306. ^ David B. Sachsman; S. Kittrell Rushing; Roy Morris (2007). Memory and Myth: The Civil War in Fiction and Film from Uncle Tom's Cabin to Cold Mountain. Purdue University Press. p. 8. ISBN 9781557534392. ^ Harriet Beecher Stowe (1854). Sunny memories of foreign lands. pp. 301–13. ^ For a hostile account see Judie Newman, "Stowe's sunny memories of Highland slavery." in Janet Beer and Bridget Bennett eds., (2002). Special Relationships: Anglo-American Affinities and Antagonisms 1854–1936. Manchester University Press. pp. 28–41. ^ Homestead, Melissa J. (2005). American Women Authors and Literary Property, 1822–1869. NY: Cambridge University Press. p. 29. ISBN 9781139446891. ^ Hedrick 1994, p. 384. ^ "Stowe House". ohiohistory.org. Archived from the original on 2007-07-17. Retrieved 2009-07-27. ^ Wood, Wayne (1996). Jacksonville's Architectural Heritage. Gainesville, FL: University Press of Florida. p. 284. ISBN 978-0-8130-0953-7. ^ Calvert and Klee, Towns of Mason County [KY], LCCN 86-62637, 1986, Maysville and Mason County Library, Historical, and Scientific Association. ^ ""THE DAWN SETTLEMENT" – Dresden – Ontario Provincial Plaques on". Waymarking.com. Retrieved 2012-06-14. Adams, Bluford (18 December 2014). ""A Word or Two on the Other Side": Harriet Beecher Stowe in the Debate Over Women's Health". ESQ: A Journal of the American Renaissance. 60 (4): 593–633. doi:10.1353/esq.2014.0019. ISSN 1935-021X. Retrieved 20 September 2018. DiMaggio, Kenneth (2014). "Uncle Tom's Cabin: Global Best Seller, Anti-slave Narrative, Imperialist Agenda". Global Studies Journal. 7 (1). Retrieved 20 September 2018. Hedrick, Joan D. (August 1997). "Harriet Beecher Stowe". In Richard Kopley (ed.). Prospects for the Study of American Literature: A Guide for Scholars and Students. NYU Press. pp. 112–32. ISBN 978-0-8147-4698-1. Retrieved 20 September 2018. Hedrick, Joan D. (1994). Harriet Beecher Stowe: A Life. Oxford University Press. ISBN 978-0-19-506639-5. Retrieved 30 Jun 2011. Holliger, Andrea (20 March 2015). "America's Culture of Servitude at War: The Servant Problem, The Soldier Problem, and Harriet Beecher Stowe's House and Home Papers". ESQ: A Journal of the American Renaissance. 61 (1): 37–72. doi:10.1353/esq.2015.0004. ISSN 1935-021X. Retrieved 20 September 2018. Kellow, Margaret M.R. (November 2013). "Women and Abolitionism in the United States: Recent Historiography" (PDF). History Compass. 11 (11): 1008–20. doi:10.1111/hic3.12100. ISSN 1478-0542. Retrieved 20 September 2018. Klein, Rachel N. (1 October 2001). "Harriet Beecher Stowe and the Domestication of Free Labor Ideology". Legacy. 18 (2): 135–52. doi:10.1353/leg.2001.0026. ISSN 1534-0643. Retrieved 20 September 2018. Koester, Nancy. Harriet Beecher Stowe: A Spiritual Life (Eerdmans, 2014). pp. xi, 371. Nichols, Anne (2016). 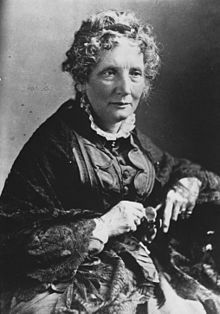 "Harriet Beecher Stowe's Woman In Sacred History: Biblical Criticism, Evolution, and the Maternal Ethic". Religion & Literature. 47 (3). Retrieved 20 September 2018. Pelletier, Kevin (2013). "David Walker, Harriet Beecher Stowe, and the Logic of Sentimental Terror". African American Review. 46 (2): 255–69. ISSN 1945-6182. Retrieved 20 September 2018. Michals, Debra "Harriet Beecher Stowe". National Women's History Museum. 2017. This page was last edited on 18 April 2019, at 01:53 (UTC).